Robin Hebrock/Pahrump Valley Times After carefully observing the Best in Show winner for the 2019 Pins and Needles Quilt Show, an attendee marks down her selection for the Viewer's Choice competition. 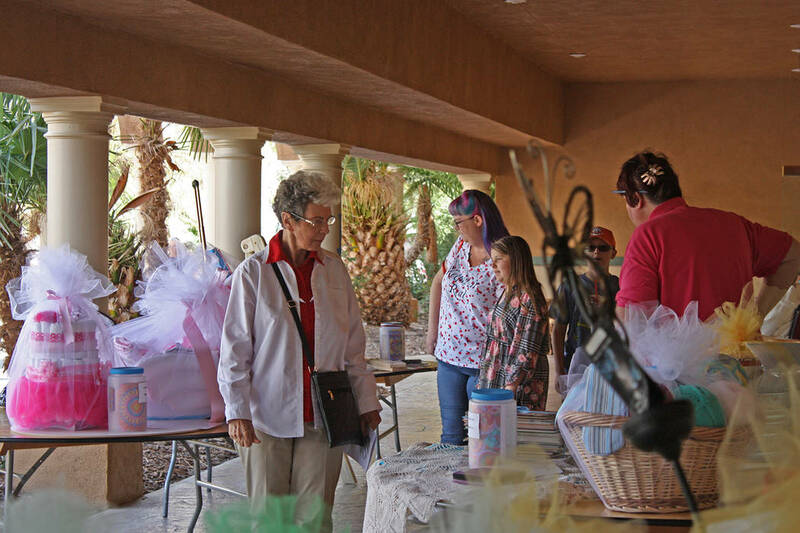 Robin Hebrock/Pahrump Valley Times Raffle prizes were so numerous this year that there were set up on table outside the venue and arranged in packages containing multiple items in various themes. 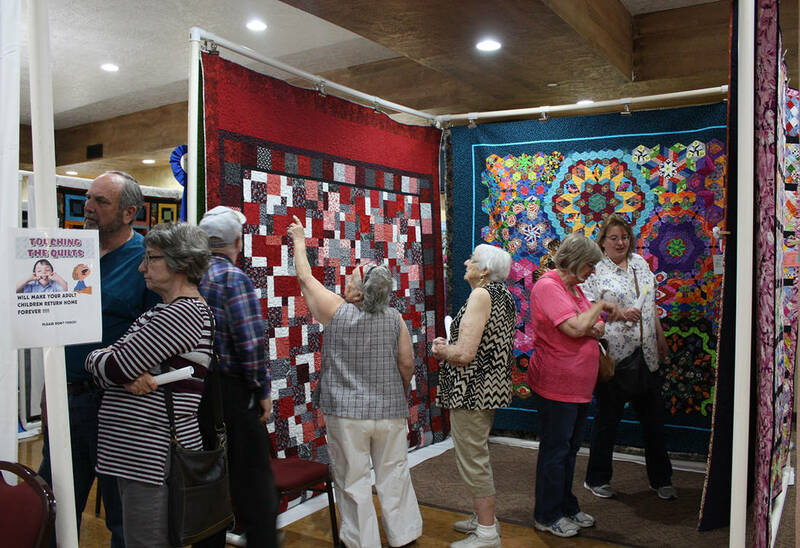 Robin Hebrock/Pahrump Valley Times The crowds at the Pins and Needles Quilt Show were thick throughout much of the two-day event as residents and visitors admired the many creations on display. Robin Hebrock/Pahrump Valley Times The amazing detail and striking colors of this quilt, an entry Rosillis Rosario titled Twelve Month Splendor, were enough to garner the piece the 2019 Viewer's Choice award in the quilting category. 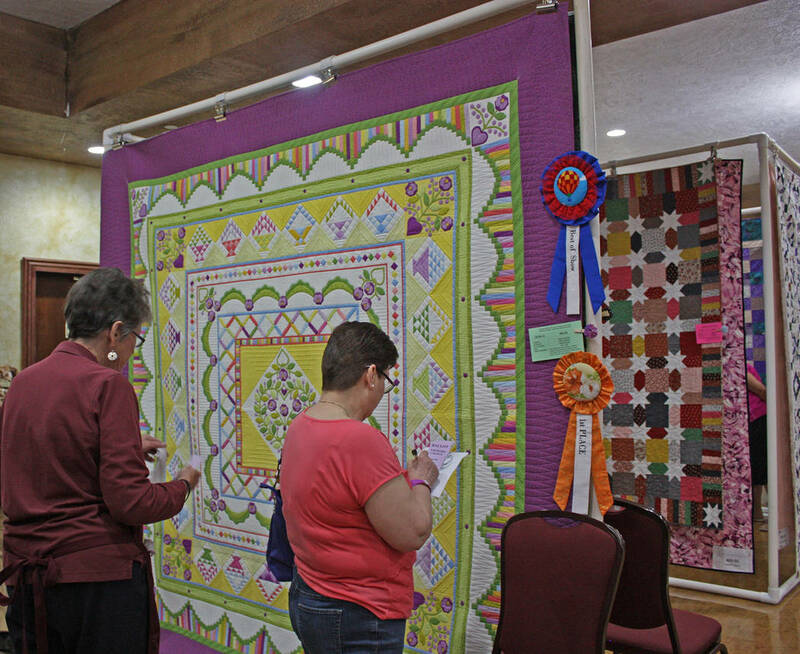 Robin Hebrock/Pahrump Valley Times Quilts filled the Nevada Treasure RV Resort during the Pins and Needles Quilt Show, supported by frames that created something of a maze of brilliant color and design. 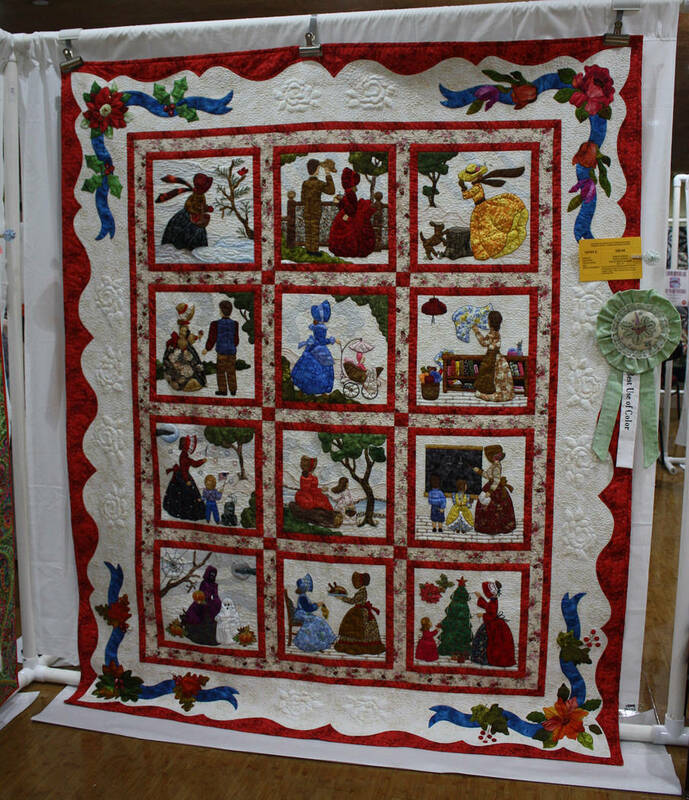 Robin Hebrock/Pahrump Valley Times Quilts were far from the only entries in the competition at this year's quilt show. Crochet pieces, embroidery, quilted household goods and more all a part of the extravagant array of fiber artwork. 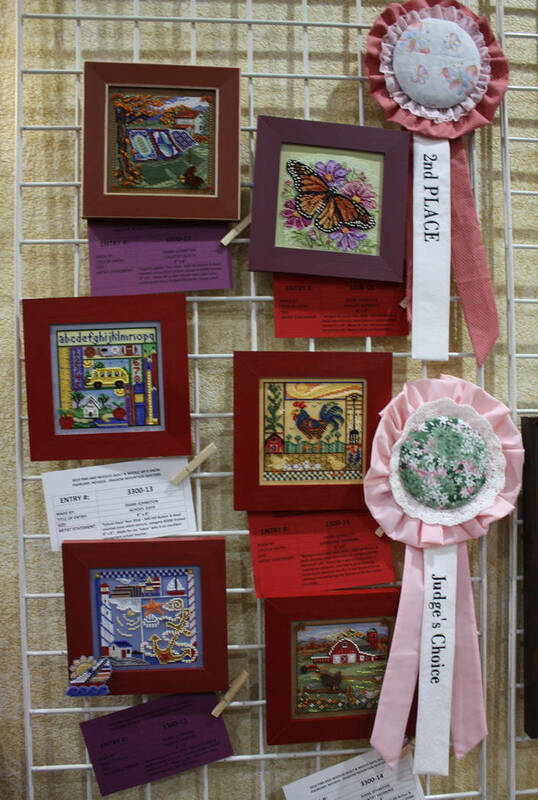 Robin Hebrock/Pahrump Valley Times Diane Johnston showed her amazing talents at the quilt show, including all of the pieces pictured, which were entered into the counted cross stitch category. Johnston took home many awards for the entries she submitted this year. 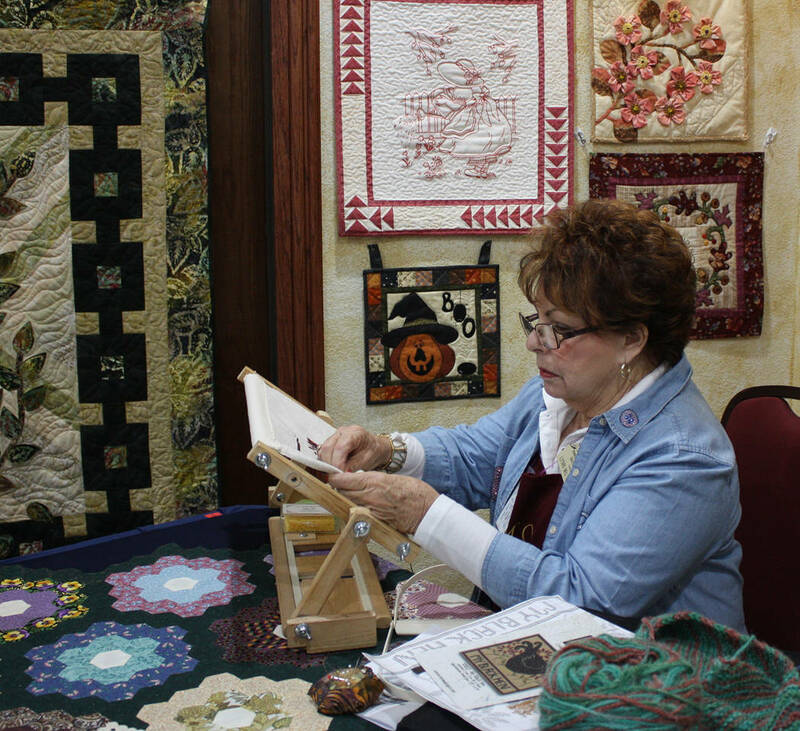 Robin Hebrock/Pahrump Valley Times The 2019 Pins and Needles Quilt Show Featured Needleworker was Lynn McDonald, shown engaged in her craft during the show. Fiber artists from all across the valley took the opportunity to put the spotlight on their many and varied creations during this year’s event, resulting in the largest collection of entries that the long-standing show has ever seen. “The Shadow Mountain Quilters enjoyed a fun-filled two-day event at beautiful Nevada Treasure RV Resort. 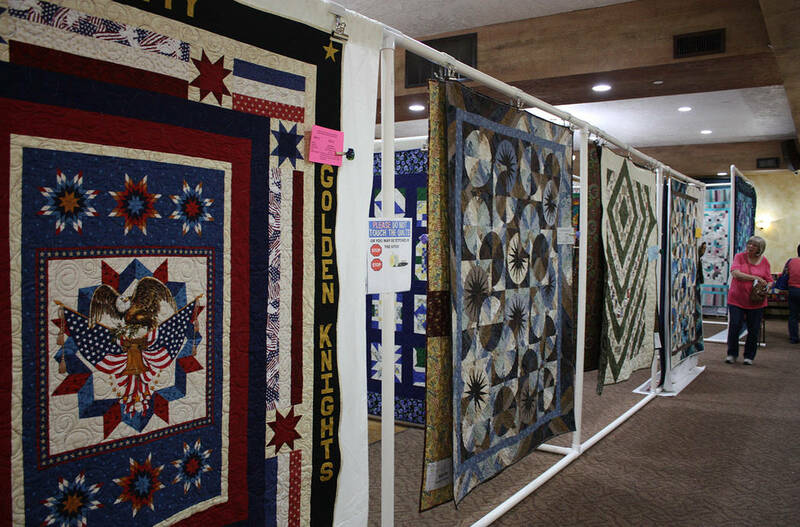 The warm spring weather brought out over 400 attendees to attend the show commemorating the 25th anniversary of the Shadow Mountain Quilters,” event organizer Violet Touchton raved following the event that took place April 5 and 6. There were vendors filling the lobby of the venue as well, providing attendees the chance to expand their horizons with something new, stock up on fabrics or buy memorabilia proclaiming their passion for their arts. Hubbster Apparel and Embroidery, Pocket Change Fabrics, Red Rock Threads, the Quilted Dragon and 108 Quilt Backings spread their enormous selection of goods throughout the lobby and were kept quite busy as patrons made their way through. “The diverse selection of raffle baskets were a big hit with many people returning to purchase additional tickets,” Touchton added, noting that the biggest raffle prize of the show, the Opportunity Quilt featuring a tornado made to match the 2019 theme of Up, Up and Away, was won by a lucky visitor from Idaho. 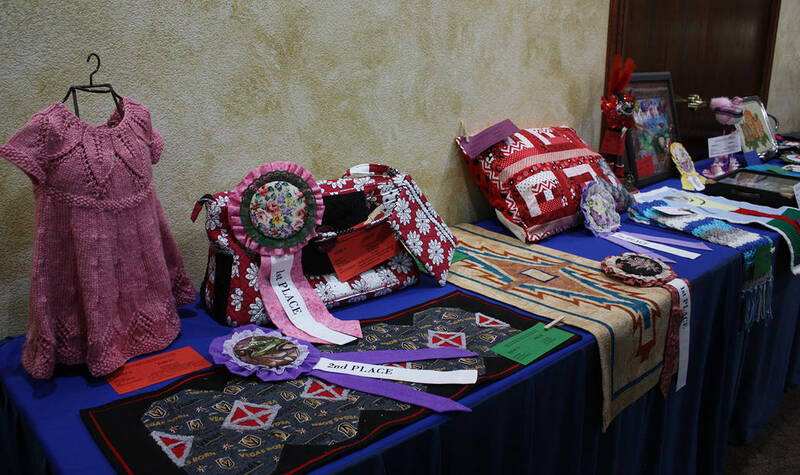 The winners for the 28 different categories were already determined prior to the show, with ribbons announcing the individual awards proudly attached to the pieces. However, the audience itself played a major role, voting on the works to be honored with Viewers’ Choice awards. Taking home first place in the non-quilt entry category was Dawn Purser for her cross stitch entitled Sunrise Eagle. Second place went to Barbara Blitz for her knitted baby dress. In the quilting division, Rosillis Rosario claimed two awards, first place for her Twelve Month Splendor entry and second for her quilt titled Here’s Looking at You Kids. “As a non-profit organization, a portion of funds raised from the event are returned to other community organizations,” Touchton explained. Although the amount to be donated and the recipients of this year’s proceeds have yet to be determined, Touchton noted that in the past the quilters have supported such programs as Meals on Wheels and the Kiwanis Food for Thought program.